“That We May All Be One” – Notice the unique wording that we have chosen for this year’s theme? It is based on the motto of the UCC, “that they may all be one” (John 17:21). The SEC Annual Meeting 2019 will be one you recognize, but is packed with new, informative, and exciting opportunities. Check out each link as they are made live. There is much to see! The Rev. Dr. John C. Dorhauer currently serves as ninth General Minister and President of the UCC. With a personal theology shaped in the passionate conviction that God is love and God is just, John has embodied the United Church of Christ’s vision of “A Just World for All” throughout his ministry. This year Annual Meeting registration is working a little differently. You will register for Annual Meeting ($50) and then choose one for the following meal plans. Meal Plan E- $0: This meal plan is for those who want to provide their own food and do not wish to attend the dinner Friday. Housing is not provided. If hotel expenses would prevent you for participating in Annual Meeting, please email Rev. Heather Fosburgh at [email protected]. There are a limited number free overnight accommodations on a first come, first served basis. See the “HOUSING” tab below for more details. Training 101: 12:00 p.m. – 8:00 p.m. These workshops are intended to equip ordained, commissioned, and licensed Clergy to understand healthy boundaries in ministry relationships. This training is in conjunction with our Disciples of Christ siblings. All authorized ministers are encouraged to participate in Boundary Awareness training at least every four years. Retreat begins at 10:00 a.m.
6:30 – Southeast Conference Celebrates! Following the theme for the Annual Meeting, this year’s workshops have been organized following 4 different tracks. This means that if you are interested in a particular aspect of the theme, you can find at least one workshop addressing that particular focus during each workshop time. Of course, you do not need to follow any particular track and can just choose what is appealing to you during each workshop time. Learn more about the tracks. We will again have the opportunity for churches and UCC affiliated ministries to have announcements or ads in the Annual Meeting booklet for Annual Meeting 2019. Is there an event coming up your church would like to invite the conference to? A special celebration to lift up? Announcements cost $25 for a quarter page, $50 for a half page, and $100 for a full page. Discounts available based on church size. Please email Heather at [email protected] for more details. The Rev. 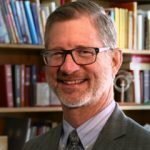 Dr. John C. Dorhauer, author and theologian, currently serves as ninth General Minister and President of the United Church of Christ. Dorhauer received a B.A. in Philosophy from Cardinal Glennon College (1983), and has a Master of Divinity degree from Eden Theological Seminary (1988), the same year John was ordained in the United Church of Christ. John received a Doctor of Ministry degree from United Theological Seminary (2004); his area of focus — white privilege and its effects on the church. With a personal theology shaped in the passionate conviction that God is love and God is just, John has embodied the United Church of Christ’s vision of “A Just World for All” throughout his ministry. Originally from Eastern Pennsylvania, Char grew up in the United Church of Christ. She is a graduate of Davis and Elkins College in Elkins, WV; the University of Illinois, Chicago; and McCormick Theological Seminary, Chicago. 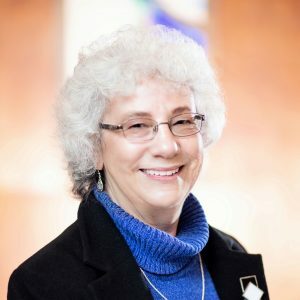 Char has specialized in Interim Ministry, resulting in 36 years of serving as interim minister for local churches and interim conference staff positions in the Northern California-Nevada, Hawaii, Pacific Northwest, Illinois, Ohio, Missouri Mid-South, Penn Central, and Penn West Conferences. Char is delighted to now claim Pleasant Hill, Tennessee as her home with her husband, Larry. They are both active in their local church (Pleasant Hill Community Church, UCC) and various volunteer organizations. Calling all people, businesses, or UCC affiliated entities that would like to have a table at the Expo at the Southeast Conference’s Annual Meeting May 30th- June 1st. This year we are opening up our Expo to crafters and non-profits as well as UCC affiliated entities. Does your church sell Fair Trade items? Design websites for churches and non-profits? Offer educational opportunities for clergy or lay leadership? A table at the Expo might be for you! If you are interested in reserving a table, please contact email Heather at [email protected]. The hotels listed are all in Crossville, appx. 8 to 11 miles east on I-40. We do not have a recommended hotel, but are listing these for your convenience. Please check with the hotels directly for rates and availability. Uplands Village has three units available for rental for Annual Meeting at 75/night. Contact Heather to reserve a unit- they sleep two people in one bed and have a kitchen, bath and TV. First come, first serve. Sorry, sold out. There are also a number of AirBnB rentals available in the area. If paying for housing will prevent you from being able to attend Annual Meeting, please contact Heather Fosburgh. Pleasant Hill Community Church is an Open and Affirming, Whole Earth, Global Mission, Just Peace congregation of the United Church of Christ. With roots in the post-Civil War work of the American Missionary Association and deep connections with Uplands Village, a UCC-affiliated retirement community here in Pleasant Hill, PHCC remains a vibrant center for social justice work and theological exploration. Our membership includes over fifty retired clergy men and women, chaplains, and missionaries who create a deep sense of UCC identity and a commitment to global mission. Uplands Village has a warm and long-standing connection to the United Church of Christ, but we are an ecumenical community and invite and welcome people of all faiths and creeds to join us… right here at home. Uplands Village is home to more than 300 diverse people who bring an astonishing range of experiences and backgrounds, united by a shared belief that retirement living can not only allow but expand opportunities to live lives of commitment in the service of others. Pleasant Hill is equidistant from three airports: Knoxville (83 miles), Chattanooga (98 miles), and Nashville (102 miles). The Nashville airport has almost 500 flights per day, while Knoxville has about 50 and Chattanooga about 20. We recommend you check online to see which city and carrier has the best flights for you.